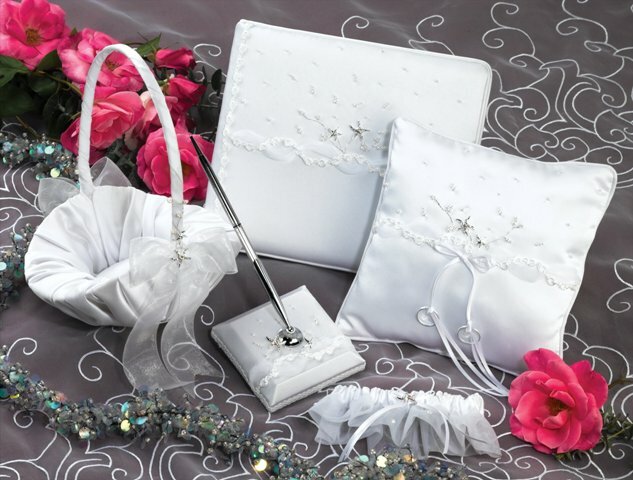 Satin Swarovski Crystal Starfish Collection includes Ring Pillow (RP457), Guest Book (GB757), Guest Pen (GP557) , Flower Girl Basket(FGB857), and Garter (G283). Made with SWAROVSKI (R) ELEMENTS. Items are available separately below.